The growing rumors of war between Iran VS Israel, let us compare the military forces of both countries with the objective of referring to several sources involved. * Conditions: Most of them are old tech, but good maintenance. * Conditions: Most of the old technology, poor maintenance and modernization. The possibility of only two squadrons who dimaintenance and modernization as well. * Condition: Almost all the modern technology, well dimaintenance and modernization. Jericho-I,-II Jericho, Jericho-III, Lora, Mobile Tactical High-Energy Laser (MTHEL) etc. 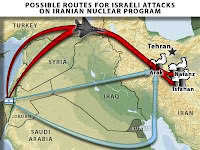 That is our strength of both countries if war broke out between Israel vs Iran. Even so, we all hope that war will not happen.